We have a huge opportunity at CIL this Sunday night! 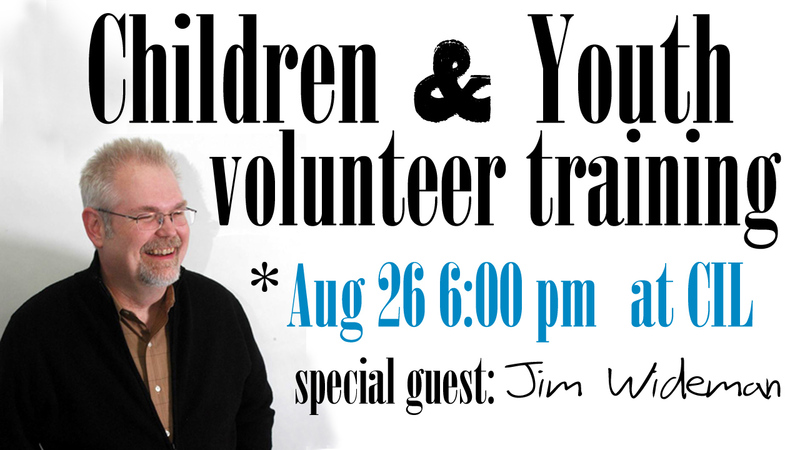 Jim Wideman is one of the most sought after speakers on children’s and youth ministry, and he is going to be speaking to us live at CIL this Sunday night! You can see from the list above that this night is pretty important to me! More importantly, it’s important for the future of our kids and teens! Jim Wideman is considered an innovator, pioneer and one of the fathers of the modern children ministry movement. He has been a speaker, teacher, author, leadership coach and ministry consultant as well as work in a local church over a span of four decades. Jim has helped the churches he’s served in to thrive, Jim and has trained hundreds of thousands of children’s and student ministry leaders from all denominations and sizes of congregations around the world.